Spring Open Studio Event 2017 !! Spring Open Studio Event ! We are hosting our first Spring Open Studio Event in our new location. Just in time for Graduation gifts, Mother’s Day gifts, Father’s Day gifts! Get your orders in early for custom work. We are happy to offer specialized services to you, as always. I’m sitting back enjoying a coffee on this Christmas Eve afternoon, reflecting on 2016, and the wonderful people in our lives. It’s been a year of significant change for all of us at 3 Pine Street. Some of us have our studios as our main source of income, some secondary income, some hobbyists. All of us have plenty of equipment and supplies and for the first 7 months of the year we worried of what would become of our businesses, our studios and our things. 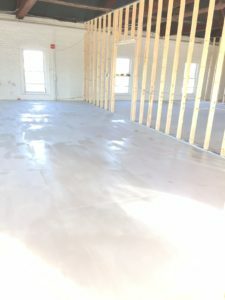 Beginning in late July, as we embarked on our new adventure of the demo and rebuild in our new place, our focus changed. Excitement of our potential, concern over funding, coordinating contractors and working out studio spaces. All became a 24-7 work in progress for us. Now, we are happily settled. The holiday season has been exciting for us. We received our Certificate of Occupancy just in time for our Grand Opening Celebration weekend. And just this past week we hosted our first Holiday Party. We are now open, regular working hours. If you happen to be downtown or coming off the Broad Street Parkway, look for our “open” flag. If it’s flying high, we are open and welcome you in. Come for a look around, maybe purchase a handmade gift for yourself or someone else. Schedule a class or two, or commission one of us for a special piece. We will be happy to see you. We hope you are enjoying the holidays, and a Happy New Year to you too!!! Please join us as we celebrate our new place! 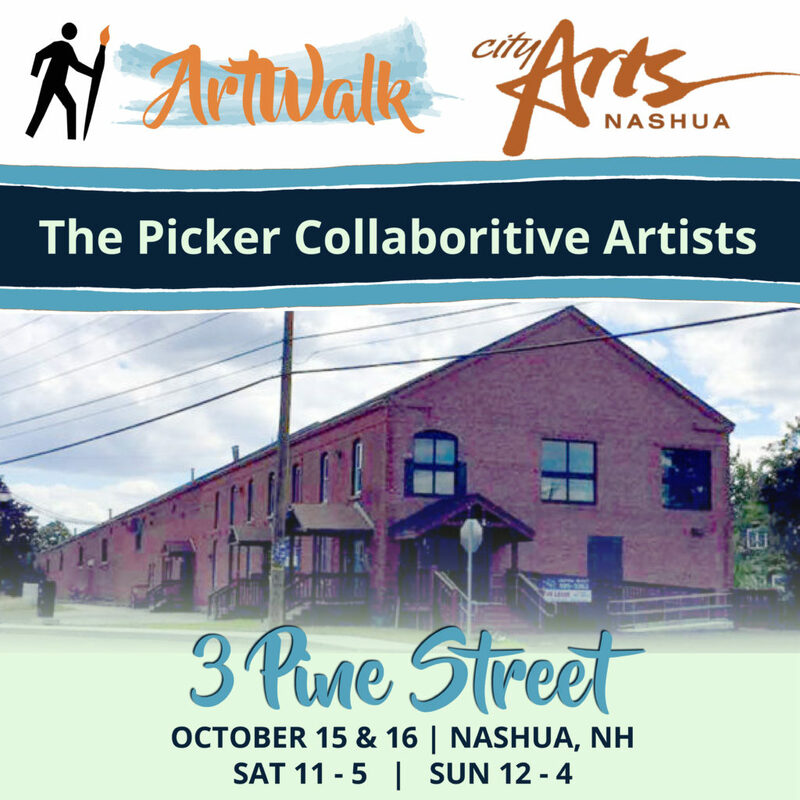 We are striving to maintain and grow our cohesive artist community that originated in the Nashua Millyard’s historic Picker building. Our beloved Picker Building was sold and we were forced to find new residence. We were very lucky to find our new location in a beautiful, 19th Century building right around the corner. 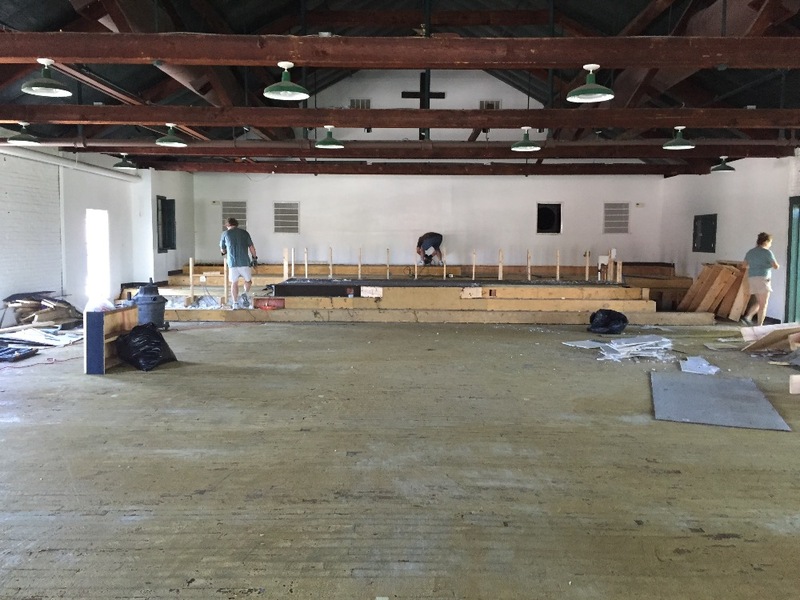 Our struggle is finding the funds to fit up our new location. Although we have made great strides, there’s still a long way to go. We still need HVAC and plumbing. Also smoke alarms and the fire suppression system raised. This is way more than we can handle. So we are reaching out to our friends, family and community for support. We need to move in by November 1, 2016, so the pressure is on! Any contribution (time, experience, or money you could make to help us reach our goal of moving is greatly appreciated by us all. Share our story or donate via our GoFundMe page. Our Red Tag Sale Continues!!! Everything with a Red Tag MUST go! For the month of September, please stop by the Picker Building and check out our amazing deals! The hallways are lined with items listed as “free” for the taking. Other items are at rock bottom prices. And if we’re open when you stop by, come on into our studios – we all have tons of things on clearance. Please help us make our move a reality! 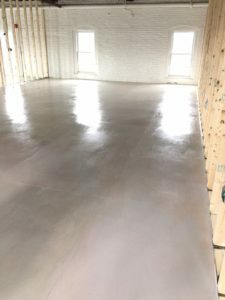 We need help with electrical, plumbing, general contractor, HVAC, flooring, painting — everything we could possibly need to make our studios a reality! See our Contact Us page if you have any questions or need directions. Share this story and we hope to see you there!